Back to school is upon us and a lot of parents are worried about safety -- there have been far too many school shootings (one is too many) in recent years, and thus safety concerns are very real. When I was a kid, we worried about a rabid dog, a swarm of bees, possibly a homeless person wandering onto campus. We heard the fire drill, and happily marched to our assigned spots on the blacktop. We stood quietly until all was clear and then returned to our classrooms without a second thought. It doesn't matter how I feel about guns...these shootings are happening now and they're not going to go away tonight. As a teacher, I typically know when our drills are going to occur. I mentally plan how to work our day around the time it will take for us to line up, walk out, and then return to class. Only we don't get straight to work. No way--I teach Kindergarten! My students need to process. After a drill, they are loud, so very loud. Drills are out of the norm, so far out of the norm. We have a process. We line up, I grab my safety vest, walkie-talkie and class binder. Someone grabs the class turtle. Yes, we plan to rescue our turtle! We walk quickly to the blacktop and face the trees. I quickly count the children and then hold up my green binder as a sign that we're all here. Then, we wait. Sometimes, the drill is over quickly, and sometimes it takes a bit longer. When the drill is over, we about-face and return to class. "Ms. McKenzie was that a drill?" "How come you didn't tell us there was a drill?" I answer the questions the best that I can, and I talk about why we need to practice--it's important to know what to do in case we ever have a real emergency. Yet...sometimes we don't have fire drills. Sometimes we have lock down drills. These can be to prevent smoke and other airborne toxins from coming into our classroom. We lock our doors, close our blinds, and carefully place rugs in the gaps under our doors. Then, we wait, quietly going about business as usual. It's confusing. Why are we doing this? We talk about it and we process. We come up with reasons why this is important. We laugh that we have to whisper, and sometimes we just sit close to each other and wait. Other times, we practice for an active shooter. The kids don't know this, of course, but I do. During these drills, we lock our doors, close our blinds, push tables and chairs in front of our doors. Then, all 26 of us cram into two itty-bitty kindergarten bathrooms that smell like pee. I tell my students not to talk--these are 5, 6, and 7 year olds. Not talking while smashed together in a tiny space? Yeah right! I stand in front of them. There is nothing more powerful than a mama protecting her cubs, and for eight hours a day these are my cubs. They don't need to know exactly why we are doing this. My young charges understand that bad things happen, but they don't need to worry about this happening to them. Every once in a while, a child will chime in and say, "My mom told me people shoot kids in schools." My heart sinks. Yes, kids have been shot in schools. I'm wracking my brain about how to talk about this. I refuse to lie, but I'm not also willing to tell the truth. Ugh, I pull things out of my hat, like, "Remember how we practice for fires? Well we also need to make sure we know what to do if someone who doesn't belong on our campus tries to come to our class." Did it tell them enough to answer their questions, but not enough to scare them? I spend the rest of the work time watching them. Is there anyone who seems emotional? Scared? Maybe needs a hug? Do I need to do another processing session to make sure that they are all OK? How can I make this better for them? As a parent, I know you send your child every day to school, hoping they are safe and well cared for. I know you don't want to picture your child standing in a bathroom with 24 other students not making a sound. It's really a awful thing to have to do. But, we do it. 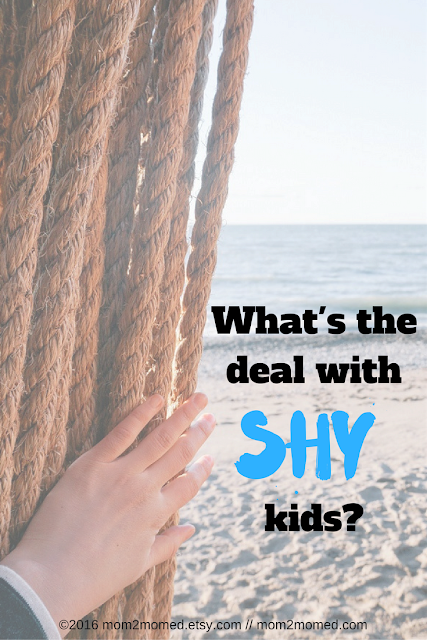 We do it not because we think it's fun to scare kids and make them do uncomfortable things. We do it because knowing what to do gives them a fighting chance. Because we know that if they are all together in one space we can better protect them. Because, unfortunately, we have too. Rest assured parents...when your child is practicing these drills that no one wants to have, in front of them stands a teacher. A teacher who will protect those kids like they are their own. A teacher who in his/her mind is thinking, "I dare you to try to come in here." I've heard some mumbling among my friends and fellow parents lately about concerns about these drills. Some have suggested space age type pods that keep children safe, jugs of rocks to throw at intruders, and so on. Please don't assume that we want to do this. Teachers aren't the enemy. Honestly I'm not really even sure what is. I just know that my job is to keep these kids safe and I'm going to do it in any way possible. If that helps you sleep even a tiny bit better at night, you're welcome. 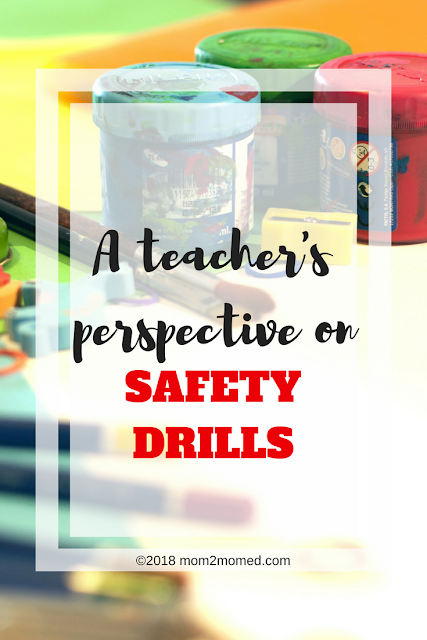 How do you talk to your kids about these types of safety drills? Do other teachers have tips on how to address children's concerns? How do you ensure that everyone feels safe?